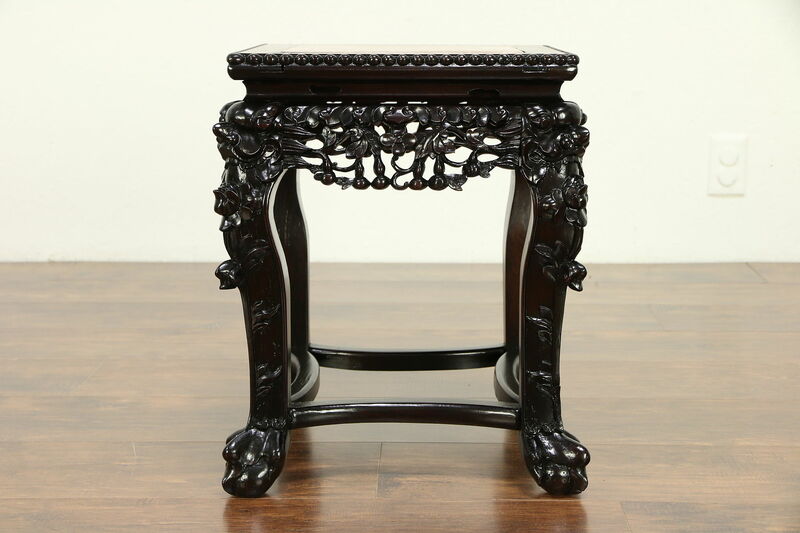 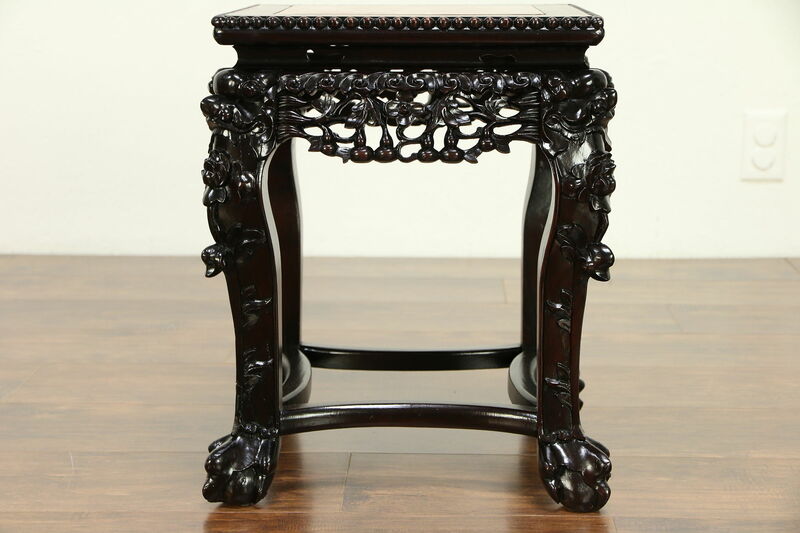 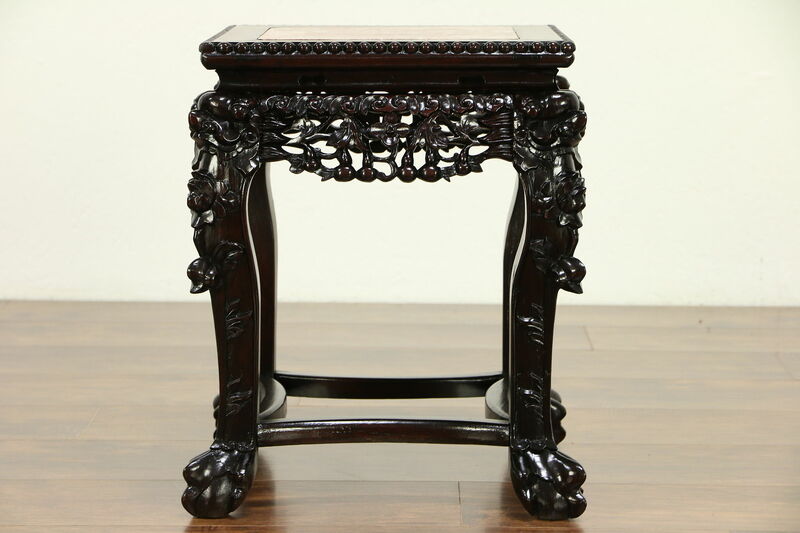 Hand carved of solid rosewood with dragon heads and paw feet in high relief about 1890, this Chinese pedestal or table has a rose marble top. 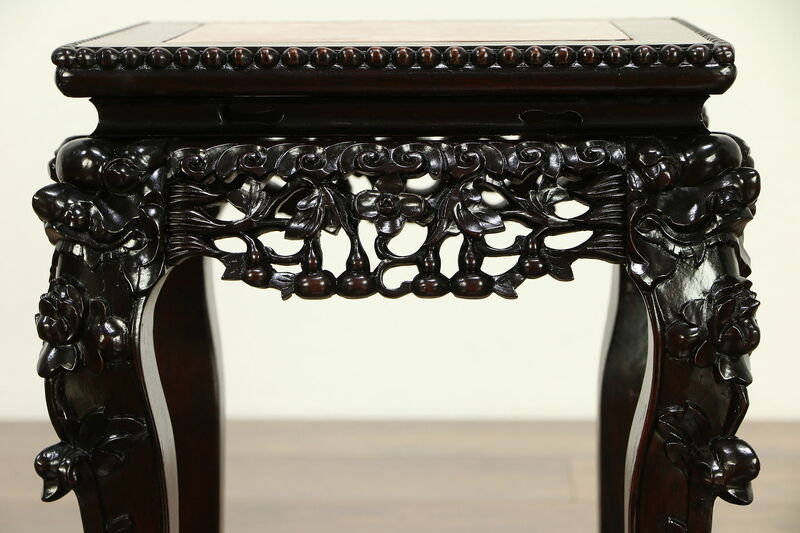 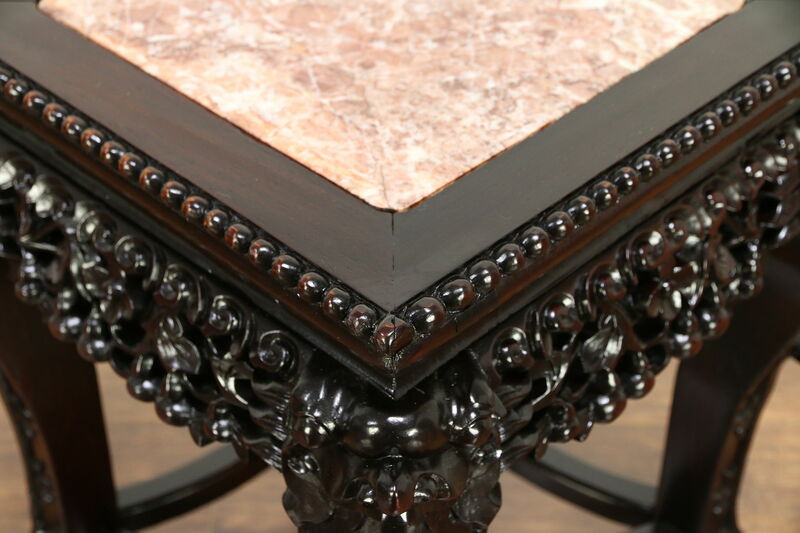 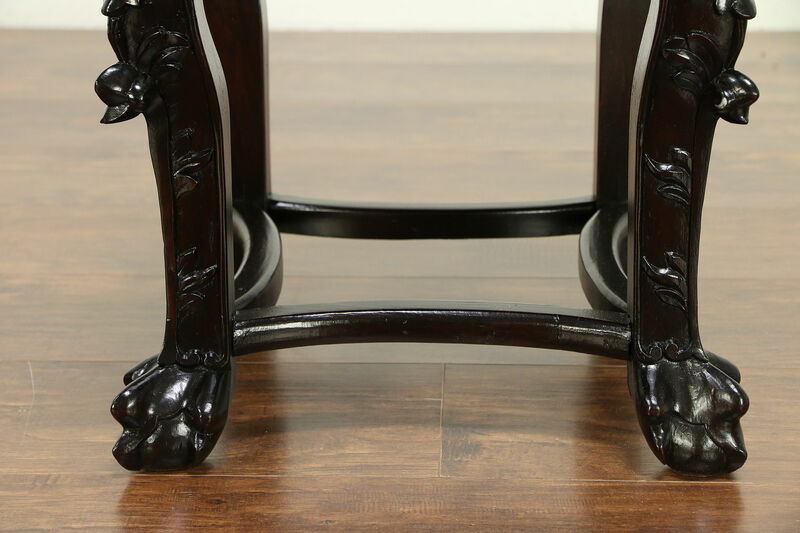 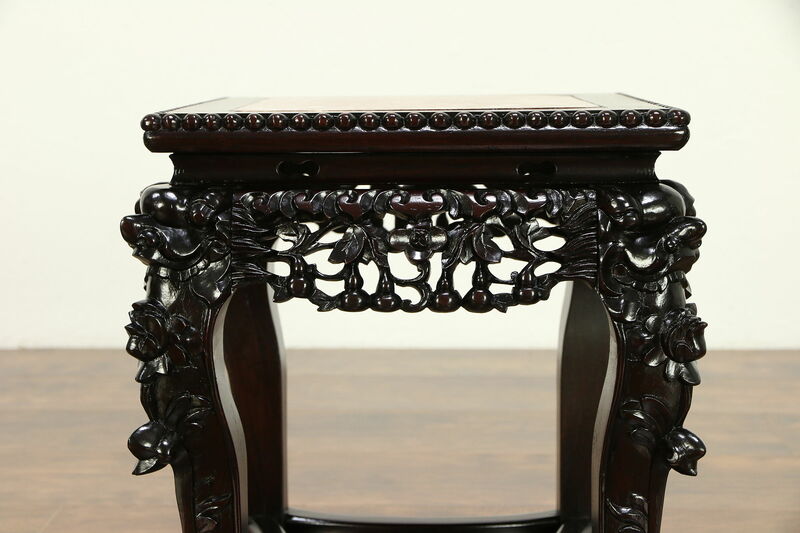 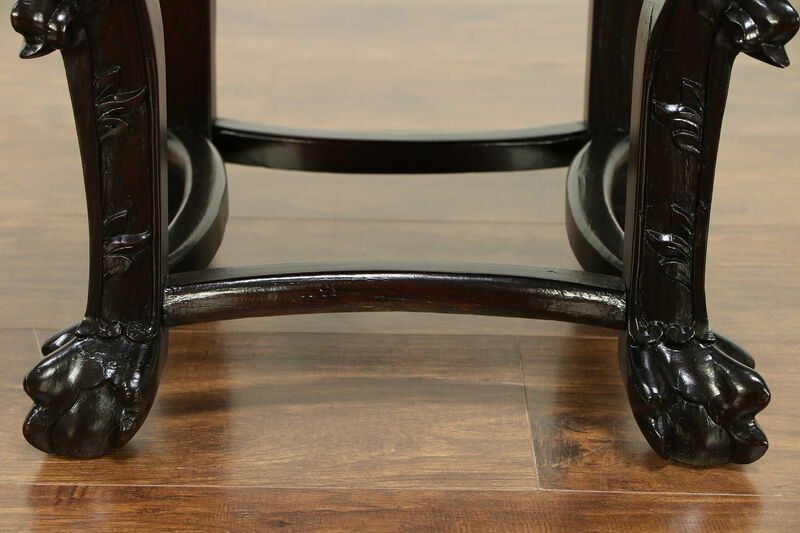 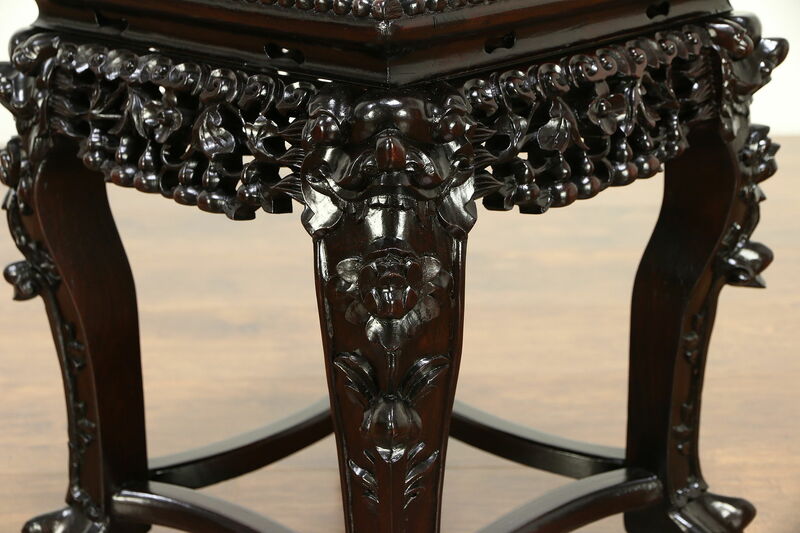 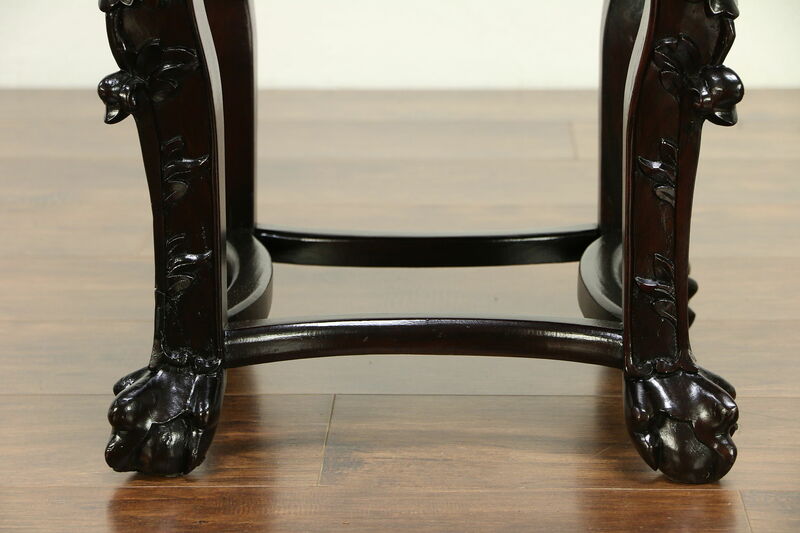 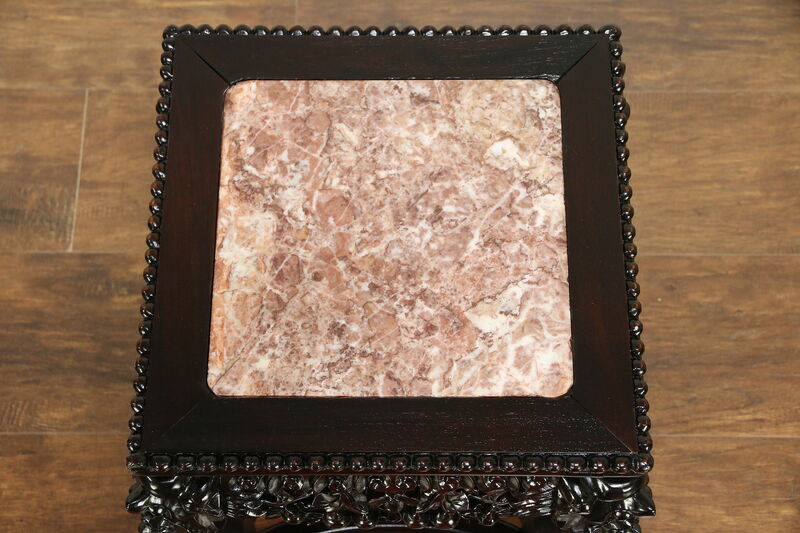 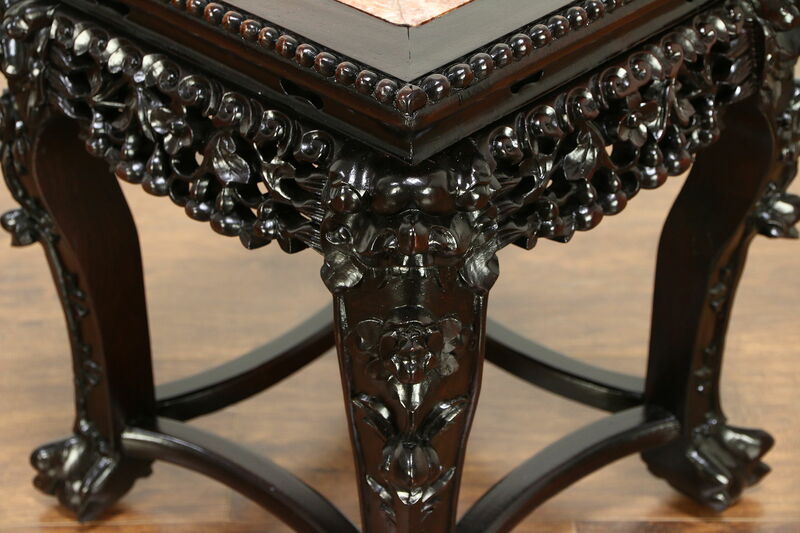 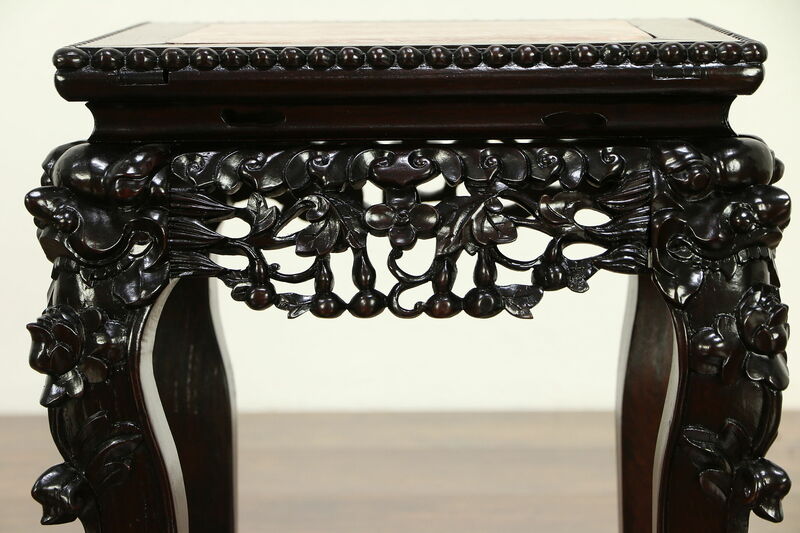 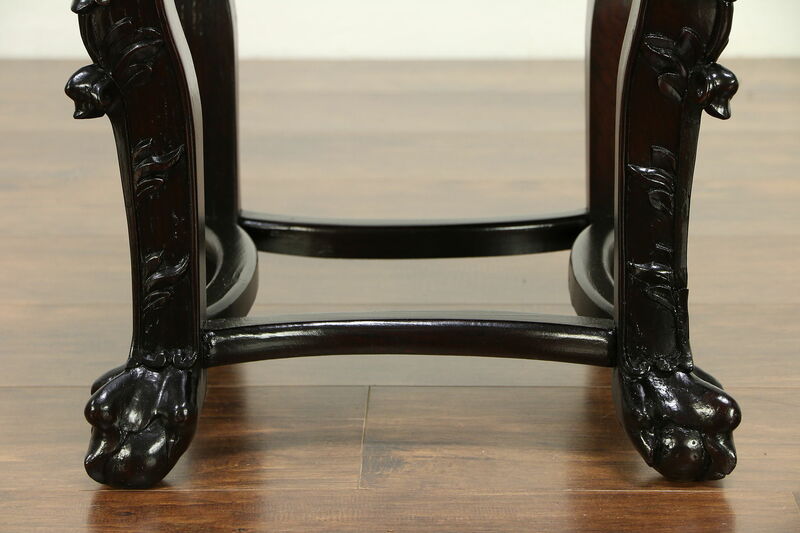 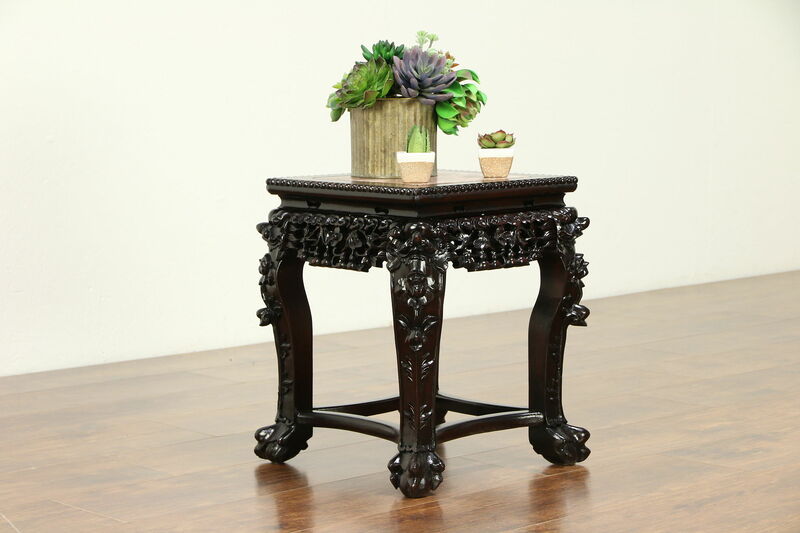 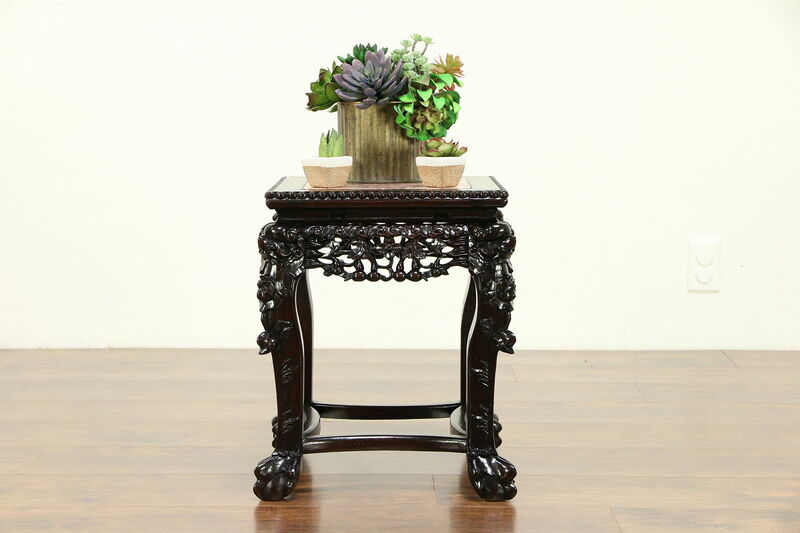 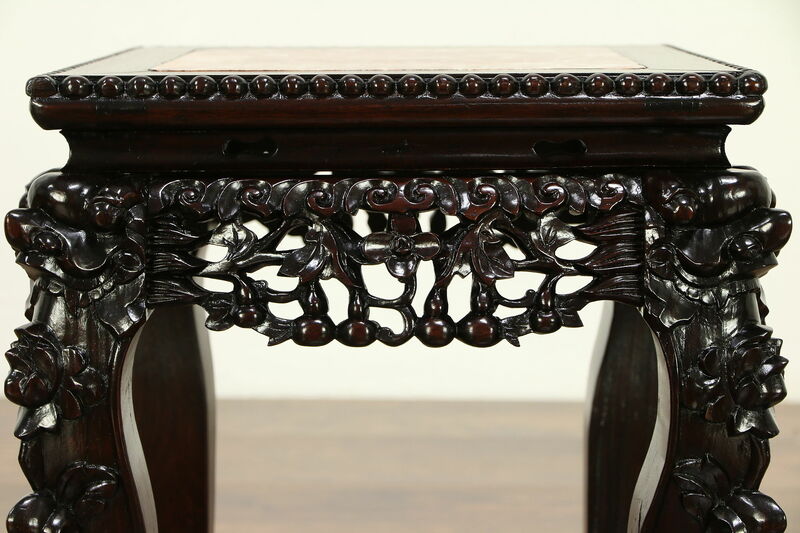 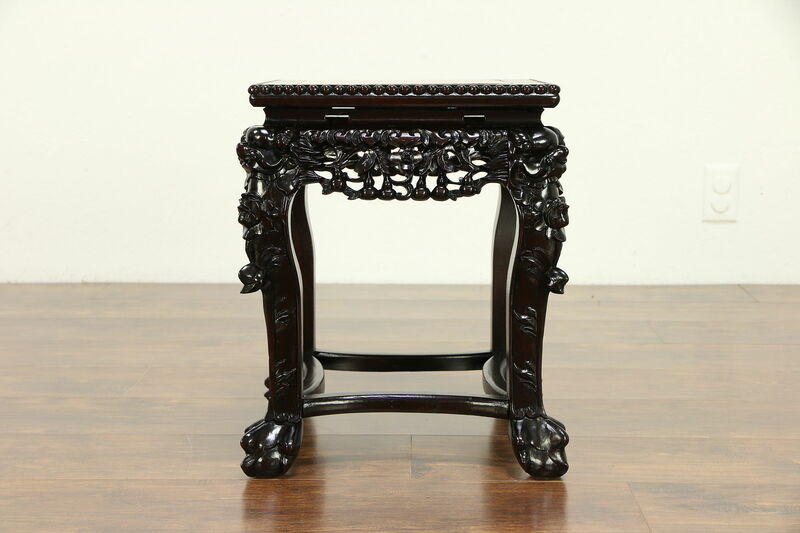 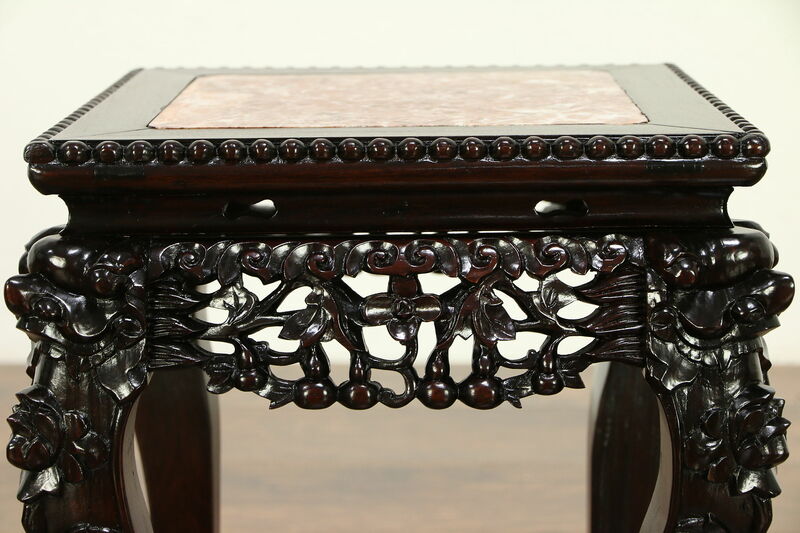 The restored finish is in excellent condition on this sturdy Asian antique furniture. 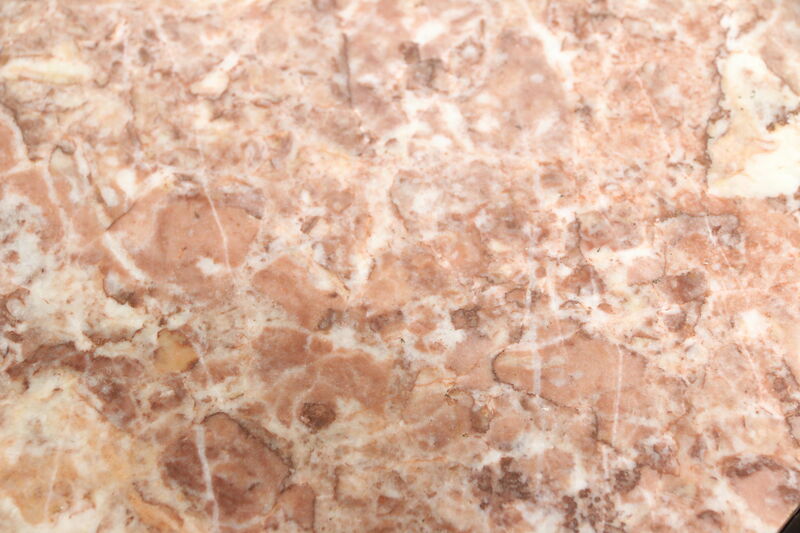 There are shrinkage separations from age, see photos. 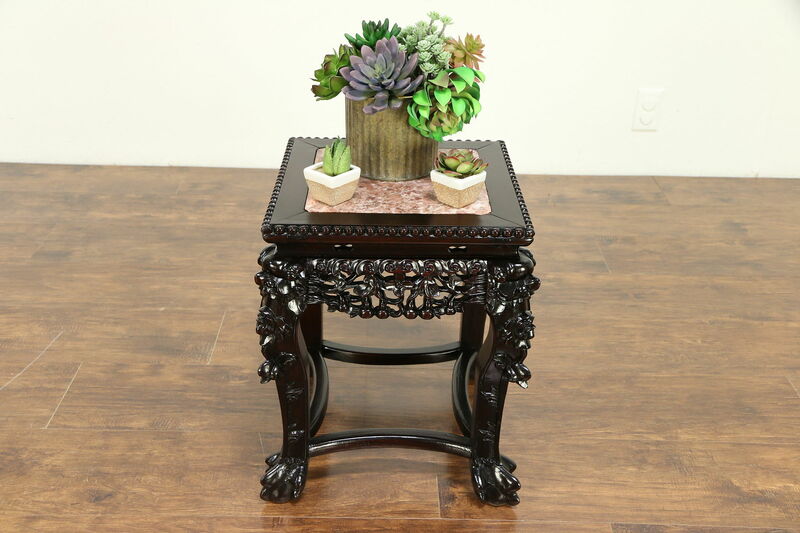 Size is 15" square and 18" tall.